Dwight Shihan is owner and Chief Instructor of Ichiban Karate. He has been teaching karate for over 30 years. He has won numerous National Championship titles and several World Cup Championship titles. Dwight Shihan currently holds a sixth degree black belt from the Shito-Ryu Traditional Karate Federation International. 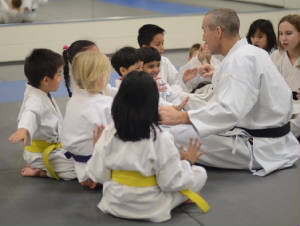 He started his karate teaching career in Northern Virginia. He taught in Reston and in Ashburn Virginia from 1995-2009. He has taught martial arts classes at The Auburn School in Herndon, Virginia as part of their physical fitness program. 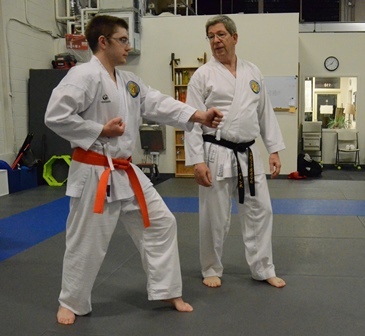 Dwight Shihan is a member of the Traditional Karate-Do Federation International Saito-ha Shito-Ryu Shihan Kai and is currently the Chief Instructor for Saito-ha Shito-Ryu Karate-do in the State of Virginia. 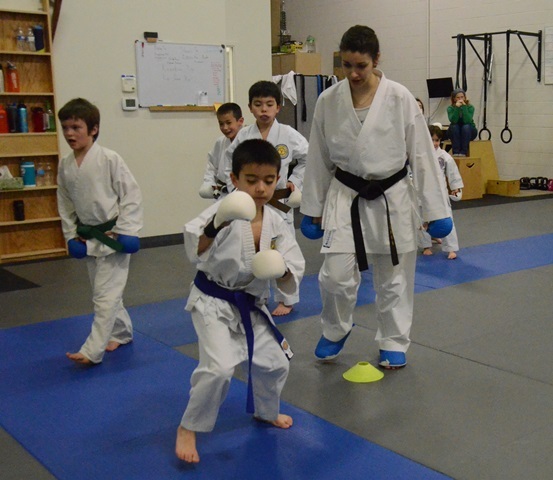 Marita Sensei has been teaching for over 7 years. She holds multiple National, International and World Cup Championship titles. Marita Sensei currently holds a third degree black belt from the Shito-Ryu Traditional Karate Federation International. She is a certified Amateur Athletic Union (AAU) Coach, Member of the Positive Coaching Alliance (PCA) and a USA-NKF Certified Coach. She is Head Coach for our Competition Team. To read more about our competition program, click here. Marita Sensei is currently certified to teach Saito-ha Shito-Ryu in the State of Virginia. Liz Sensei is the business manager for Ichiban Karate. She has been teaching karate for over 20 years. She has won several National and International Championship titles and currently holds a fourth degree black belt from the Shito-Ryu Traditional Karate Federation International. 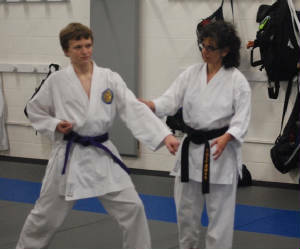 In addition to her martial arts teaching career, Liz Sensei has been in the Information Technology field for over 30 years, most recently with USAN Inc.
Liz Sensei is currently certified to teach Saito-ha Shito-Ryu Karate-do in the State of Virginia. Mark Shidoin has been teaching for over 5 years. He currently holds a second degree black belt from the Shito-Ryu Traditional Karate Federation International. Mark Shidoin is currently certified to teach Saito-ha Shito-Ryu Karate-do in the State of Virginia. Kim Shidoin has been teaching for the past 5 years. She currently holds a second degree black belt from the Shito-Ryu Traditional Karate Federation International. Kim Shidoin is currently certified to teach Saito-ha Shito-Ryu Karate-do in the State of Virginia.